Hello friends – Look out! 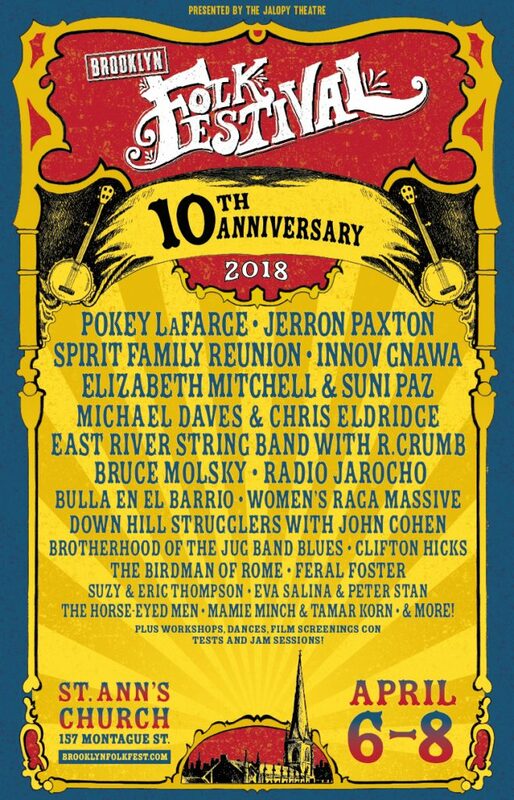 It’s the 10th Annual Brooklyn Folk Festival!! 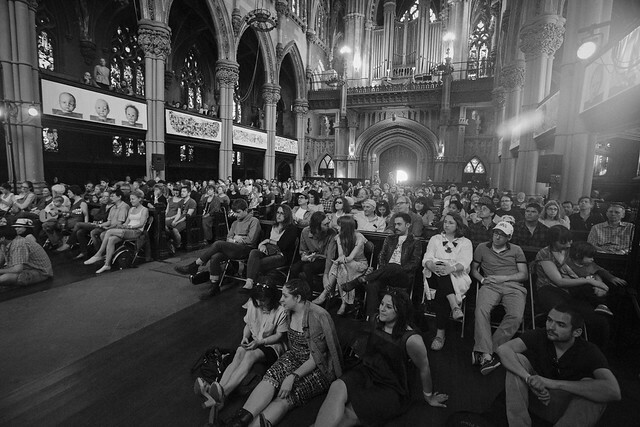 The festival will be held April 6th-8th at St. Ann’s Church here in Brooklyn, NY. We will feature 40+ different bands as well as other performances, workshops, film screenings, dances and contests. Not to be missed! Check out www.BrooklynFolkFest.com for complete festival information and updates. 2:15pm The HickHoppers – Amazing old time string band from the great state of Georgia! 3:45pm Clifton Hicks – Ballads and banjo songs from Georgia! 6:00pm The Birdman of Rome – The Birdman returns, all the way from Rome, Italy! Not to be missed. 3pm First ever! Brooklyn Fiddle Contest – Who is the greatest fiddler in Brooklyn!? Find out! Compete for prizes! 11:45pm Steel City Jug Slammers – Jugband music from Alabama! 2:45pm Elizabeth Mitchell & Suni Paz – Music for kids & adults! 1:00PM SPECIAL EVENT: THE BANJO TOSS – Banjo Throwing Contest! This event is held off-site. Please assemble at the corner of Smith and 9th Street at 1pm, we will then have a parade to the banjo tossing arena! 8:30 pm ichael Daves & Chris “Critter” Eldridge – Bluegrass duets! 9:30 pm Pokey LaFarge – Original, blues and folk songs!